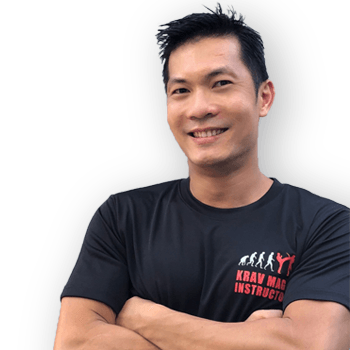 I first took up Krav Maga because I found that many of the traditional martial arts were neither appropriate, nor realistic, in everyday situations. The sports fighting systems available also did not meet my needs ie. if one were to face threats in the street involving weapons, and/or facing multiple assailants. As a medical doctor and someone who travels a lot, I have seen firsthand many injuries resulting precisely from such scenarios. I found that Krav Maga was the solution. This especially as it utilises our body’s natural reflexes and reactions. Being principle-based, as opposed to kata or form-based, one is trained to react to any multitude of attacks and possible outcomes. Attack, defence, de-escalation – the options are yours. This to me epitomises truly effective self-defence.